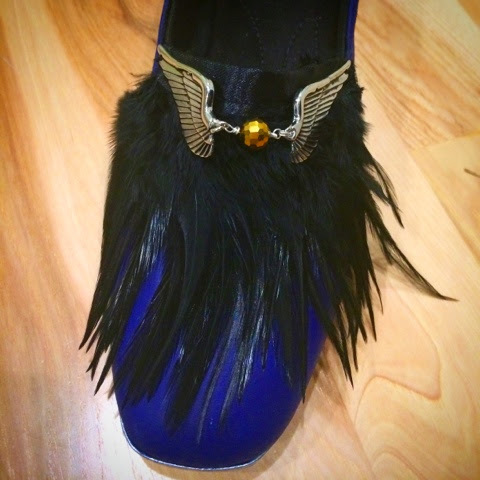 At my Ravenclaw shoes. Evidently I'm a quiddich player! That is looking awesome! Was really excited when I saw it. I love the feather decals. Perfect for Ravenclaw. The subtle snitch is perfect.